Being Retro: And the Worms ate into his Brain! Short post, it's an illusion... come on back tomorrow... something better I promise! My eyes are lying to me! You really have to focus not to see them bend. That's an old Floyd song. Well, I guess at this point, they all are. They might be parallel. 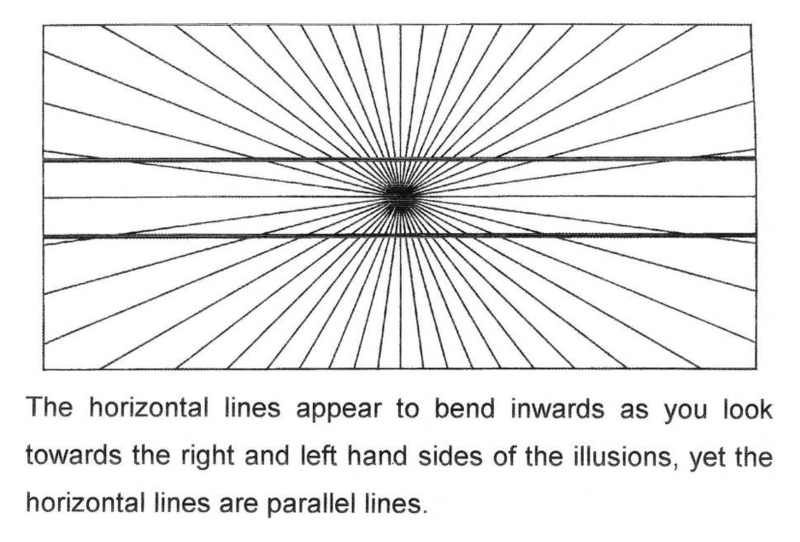 Optical illusions are so cool. Seriously, my eyes still aren't acting right, wow! 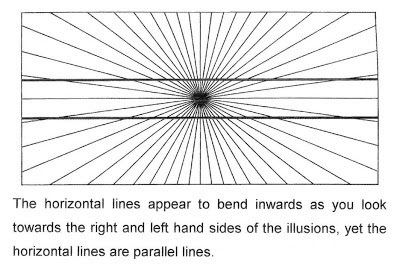 I see them bend and it makes me think many things in life are also an illusion. It does depend on the way we see such things. So even your short post gave me some insight!! So cool, Jeremy! That thing has me tripping Jeremy! Thanks for the mind-melt. And now my eyeballs are all screwed up. oh no, wait, that's just me!